Close your eyes and imagine you are sitting in a lavender field on a summers day, eating freshly picked blueberries and you can sort of imagine what a cup of our Roman Province is like! We have masterfully blended our organic rooibos together with calming lavender, immune boosting blackcurrants, antioxidant rich blueberries and rose hips for an incredible cup of herbal tea. Roman Province is completely organic, it is one of our best sellers, and no wonder, it is great any time of the day. Close your eyes and imagine you are sitting in a lavender field on a summers day, eating freshly picked blueberries and you can sort of imagine what a cup of our Roman Province is like! We have masterfully blended our organic rooibos together with calming lavender, immune boosting blackcurrants, antioxidant rich blueberries and rose hips for an incredible cup of herbal tea. 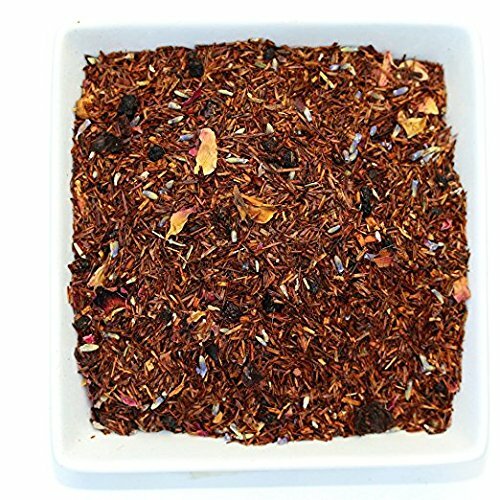 Roman Province Rooibos is completely natural, it is one of our best sellers, and no wonder, it is great any time of the day.